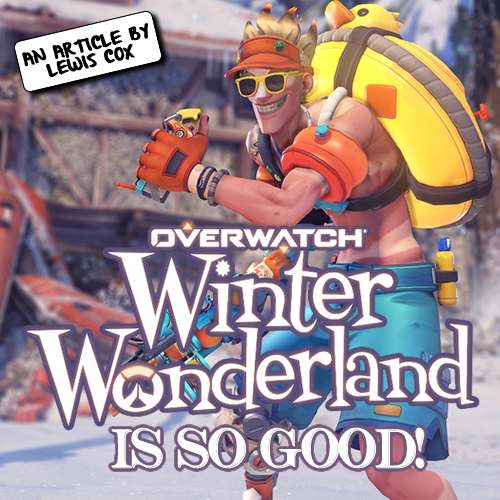 Overwatch Winter Wonderland Is So Good! Back when I was in high school, I used to play Runescape, like, all the time. Looking back now I'm older, I'm not sure why I put so many hours into what was essentially a point-and-click grindfest, but I enjoyed it nonetheless, and I have a lot of great memories playing it, one of the fondest occurring around this time of year, back in 2005, when there was a Christmas event on that involved constructing gifts in Santa's workshop and decorating a Christmas tree. Travel forward in time 12 years later, and I find myself playing another Christmas event, in a completely different game, Overwatch. I've been waiting all year for the Winter Wonderland event to return after loving the festivities Blizzard brought to the game back in 2016, and I wasn't disappointed when it did. The Mei's Snowball Offensive brawl mode is back once again, along with a new game mode, Mei's Yeti Hunt. Both of these game modes are extremely simple, but cute, with atmosphere in spades. A lot of people look to Christmas time as a time to relax (although clearing my bank account buying presents does stress me out a little) and have fun, and these game modes reflect this. 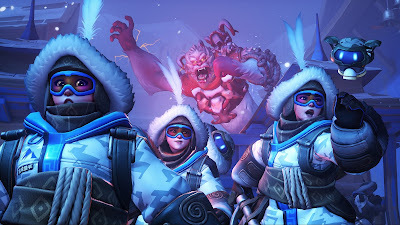 It's nice to chill out (no pun intended) from the competitive nature of Overwatch (as well as real life) and mess around firing snowballs and hunting Yetis during the month of December. I think this is what makes me enjoy these modes the best out of any of the limited game modes of previous events. Along with these game modes, come some awesome new festive-themed hero skins, as well as the return of price discounted hero skins from last year. Highlights include new skins for Bastion, Roadhog, and Sombra (see below). Especially Sombra's (I've got enough saved up to buy it if I don't get it in a loot box by the time the event ends). 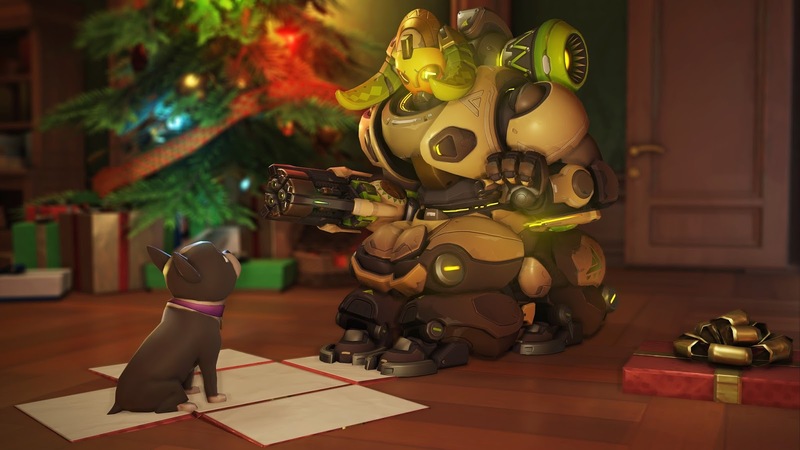 There's also a few other bits and bobs like emotes and victory poses available, including a 3 grand emote for Orisa where she plays with a dog. It's kinda cute, unlike her character design (sorry). On the day this event launched (the 12th), I got my two best friends together and we played lots of the Winter Wonderland game modes, and although they are based in different parts of the country to me, there was something truly nice about being able to talk and laugh together over the internet with them while taking part in these virtual festivities. And this was when I realised something: this event makes me happy. Like, really happy. Because I f*cking love Christmas, and while the idea of this season lasting all year round doesn't sound half bad, it wouldn't feel quite as magical. Fairy lights wrapped around those conifer trees wouldn't look as pretty, and those Christmas songs wouldn't sound quite as catchy. When I turn on Overwatch between the dates of the 12th of December and the 1st of January, a game that I absolutely adore and play year round, I find myself buzzing with excitement and really feeling that Christmas spirit, like a bright-eyed little kid again, because the fun I'm having in these cute Christmas game modes, the skins I'm trying my hardest to unlock, and the atmosphere felt while playing on Christmas versions of maps like King's Row and Hanamura can only be experienced during this time of year, for a limited time, and that makes it feel all the more special, just like Christmas. 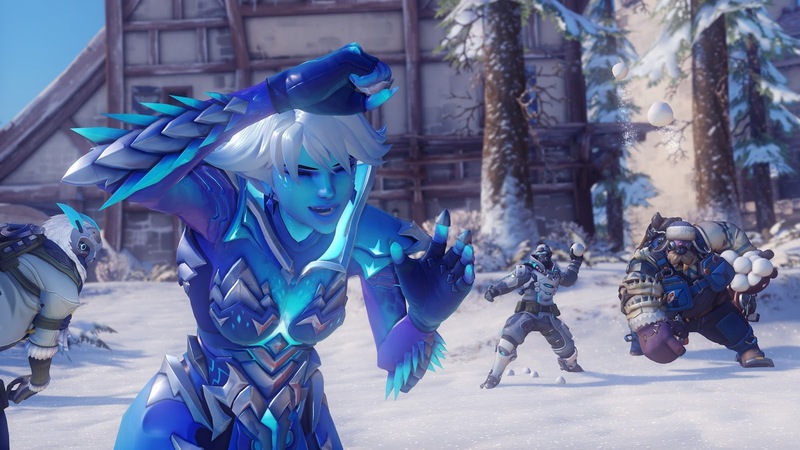 I'm kind of stating the obvious really, but it's nice to know, that as long as I continue to play this game, like everything else that comes with Christmas, I will always have something to look forward to from Overwatch too. What do you think of this event? Does it give you the same warm fuzzies that it gives me? 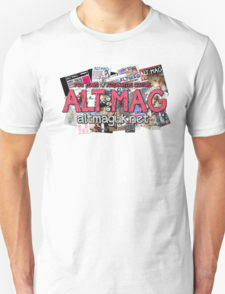 Tell us all about it in the comments or via our Facebook and/or Twitter! Note: Sorry for being so AFK this year guys, and I promise I'll be back soon with more articles!